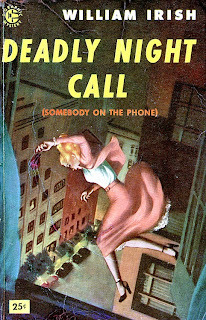 Killer Covers: Two-fer Tuesdays: That First Step’s a Doozy! Two-fer Tuesdays: That First Step’s a Doozy! 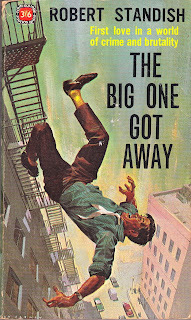 “Robert Standish,” author of the 1960 Four Square paperback on the left, The Big One Got Away, was a pseudonym often used by Englishman Digby George Gerahty (1898-1981), who wrote some three dozen novels, in addition to numerous short stories. Among his books was the Ceylon-set Elephant Walk (1948), which was filmed in 1954 with Elizabeth Taylor, Dana Andrews, and Peter Finch. 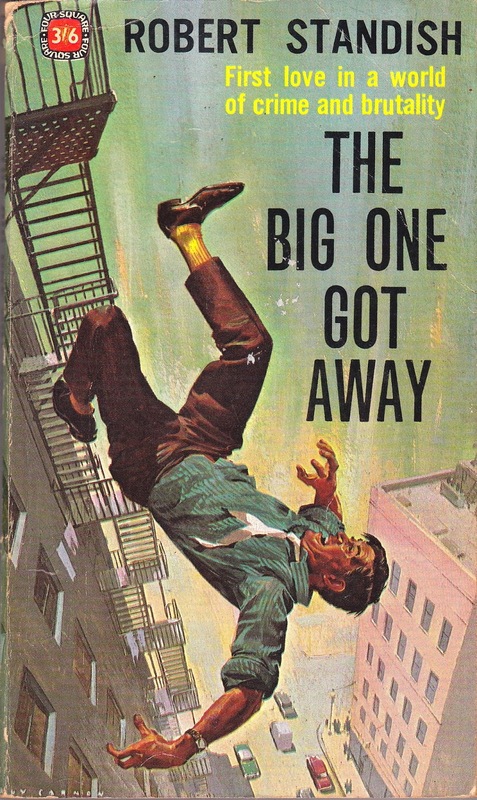 The cover shown here features an illustration by Roy Carnon, another Brit, who worked primarily in advertising, but also painted fronts for some of Edgar Rice Burroughs’ science-fiction novels and created concept illustrations for the 1968 movie 2001: A Space Odyssey. 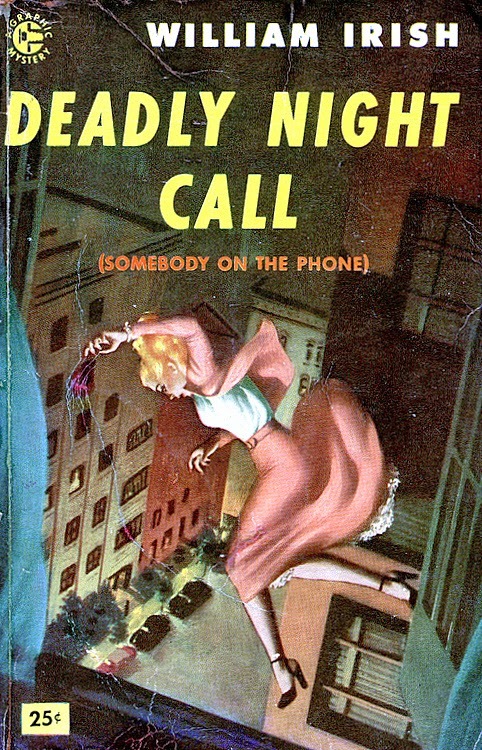 READ MORE: “Cornell Woolrich’s Mysterious Tales of Sorrow & Horror,” by Jessica Amanda Salmonson (The Weird Review); “Falling Bodies” (Pulp International). Lovely covers and interesting books. I have never heard of Gerahty at all. Cornell Woodrich I should read but haven't. I always considered him too hard boiled for me, but have learned not to make judgements without sampling the wares.